Mr. McHone settled in the Washington area in 1962, when he joined The Post. 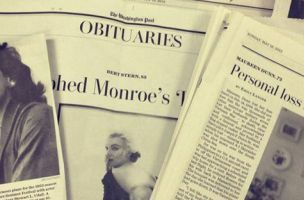 Among his duties in the newspaper’s printing department, he laid out the comics, stock tables, classified advertising and television guide. He retired in 1989. Fred Eugene McHone was born in Bluefield, W.Va., where he attended vocational school and apprenticed as a printer. After serving in the Army in Alaska in the early 1950s, he returned to Bluefield, where he worked as printer for the Daily Telegraph until 1962. RIP Fred, and thanks for your years of service to the business of journalism.